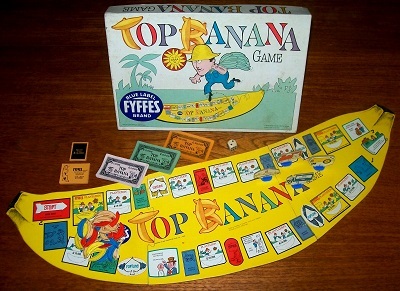 'TOP BANANA GAME' BOARD GAME: Fyffes Top Banana Game is an adventure game based on the banana industry. It is real life game combining skill and ability with some of the chance happenings of the banana business. In the game, players buy plantations and transport bananas to market to raise money and cover their expenses. There is no income for th players other than what they can generate themselves thorugh the sale of bananas. The game is complete and in excellent condition. The box is fully intact without any use of sellotape and each one of the four playing pieces and 40 banana tokens presents itself in brilliant condition. 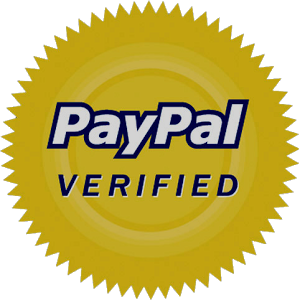 The money is clean and the rule insert is likewise in very nice condition. This is an exceptionally rare game that represents an important piece of British industrial history and which was commissioned by a company which still operates today.